Imagine that you could have a covered outdoor area of 50 m ready for students, all easily put up in as little as 5 minutes. That’s exactly what Tentipis’ range of Nordic style tipi tents offer. 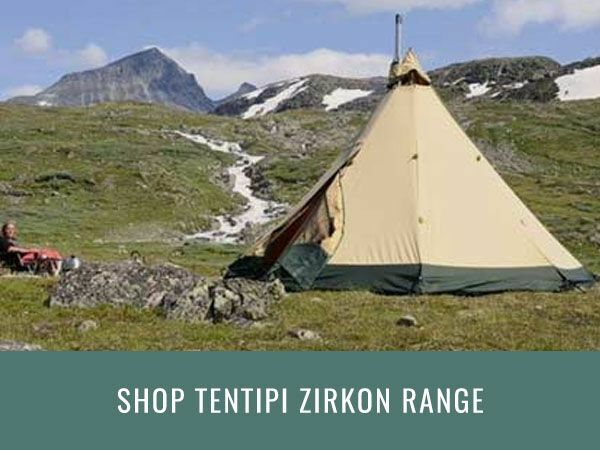 The newest addition to the range is the Zirkonflex CP, a modified version of the tried and tested Tentipi Zirkon 15CP. It still offers all that makes Tentipi so special; durable polyester and cotton material that will stand up to most of what the elements can throw at it, standing room for even taller adults, excellent ventilation, and even the possibility of having an open fire inside combined in a way that is easy to use. However, what really sets the Zirkonflex apart is that the bottom edge of the tent can be lifted and staged up by poles, leaving a covered area with a diameter of 8 metres. This leaves you with a 50 m2 covered area which easily sits 40 children. In slightly windier conditions it is possible to lift only two of the eight panels to improve stability. This offers increased wind, sun and rain protection but with more useable space compared to a completely closed tipi. Perfect for story telling time! As Scandinavians, we believe that the outdoors should be a natural part of everyday life. We call it ‘friluftsliv’. This view is engrained in children from a young age, and is very much a constant part of their education growing up. But while Scandinavians have their children outside from an early age, British children are among the most house bound in the world. Last year a poll was conducted that showed that 75% of UK children spent less time outdoors than prison inmates. This comes at a time where the benefits of spending time in nature is better documented than ever. Proven benefits including reducing stress, boosting creativity, and even increasing brain capacity. All of these are valuable for adults, but absolutely crucial to the development of children. Forest schools and outdoor classrooms are great ways to get children outside, without sacrificing on learning. Having said that, we realise that it is not always easy to accommodate. However, we believe that Tentipi Nordic tipi tents offer an ideal solution. The tents offer the perfect balance between classroom and the outdoors, providing shelter when needed and a comfortable place to run lessons that will inspire children and teachers alike. The Kåta was first created thousands of years ago by the sami people in the north of Scandinavia. 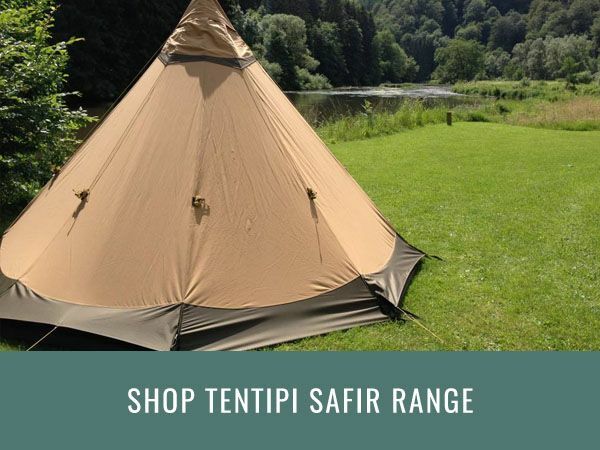 This inherently stable design has stood the test of time, and since 1989 Tentipi have produced Kåtas by combining this design with high quality fabrics. The solution Tentipi has come up with has resulted in a versatile tent where there is no longer a trade-off between portable and spacious, or between ease of use and superior functionality. Durable polyester and cotton material that will stand up to most of what the elements can throw at it, standing room for even taller adults, excellent ventilation, and even the possibility of having an open fire inside combined in a way that is easy to use are all part of what makes Tentipi tents unique. The other feature that stands out with the Tentipi Kåtas is the versatility. It is a tent that can be used for practically any purpose, whether that be an expedition in extreme cold or holding lessons on a sunny day. P1 loved being inside the tentipi - most had never seen one before so they were very excited and amazed being inside! It was a great place for story time and the kids were very relaxed. We love our Tentipi. We have used the Tentipi for our Santa's grotto, for a reading club, for telling stories, for the new P1's, for outdoor learning today and so much more. Fantastic as an extra space. A fantastic and durable product that offers a versatile and manoeuvrable platform to conduct outdoor activities. 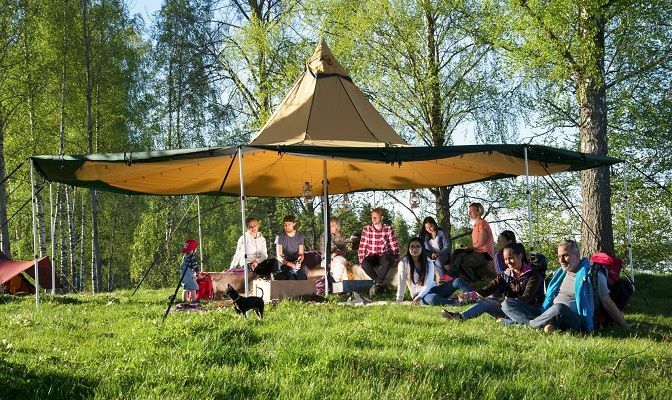 It was in 2003 that Caspar Odqvist, the founder and Managing Director of Nordic Outdoor, came across Tentipi. At the time Tentipi had a no presence in the UK at all, and being a Swede himself Caspar saw the opportunity. In the thirteen years that have passed since, when Caspar was doing shows and searching out every opportunity that presented itself, both Nordic Outdoor and Tentipi have grown. 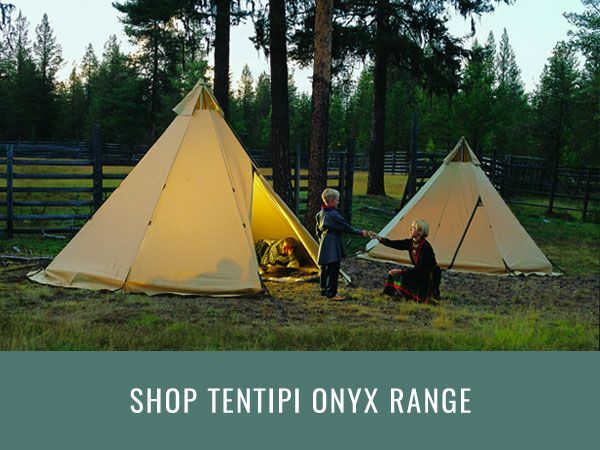 Nowadays Tentipi is a known brand. 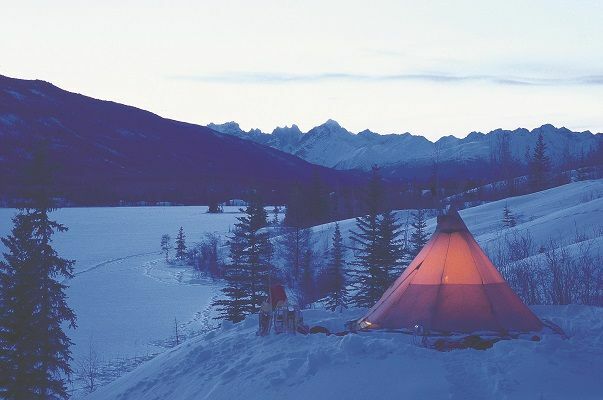 But with our shared history, Tentipi still holds a special place with us here at Nordic Outdoor. We believe that the only way to offer the service you expect, require, and deserve when making the investment that buying a Tentipi represents is to be users of the tents ourselves. We encourage our staff members to take our demonstration tents out at every opportunity. Over the years we have even had staff living in these tents for extended periods of time. All in an attempt to be able to offer our customers the best service possible. The fact that our staff enjoys it is just an added bonus. Tentipis’ highest quality tipi, made from their strongest and most durable materials. Lavishly designed with an abundance of user-friendly features and advanced performance with seating room for up 25 people. The newest addition to the Tentipi range. With space for 40 people sitting down and offering great panoramas of the surroundings, this is the ultimate way to take your learning outside.